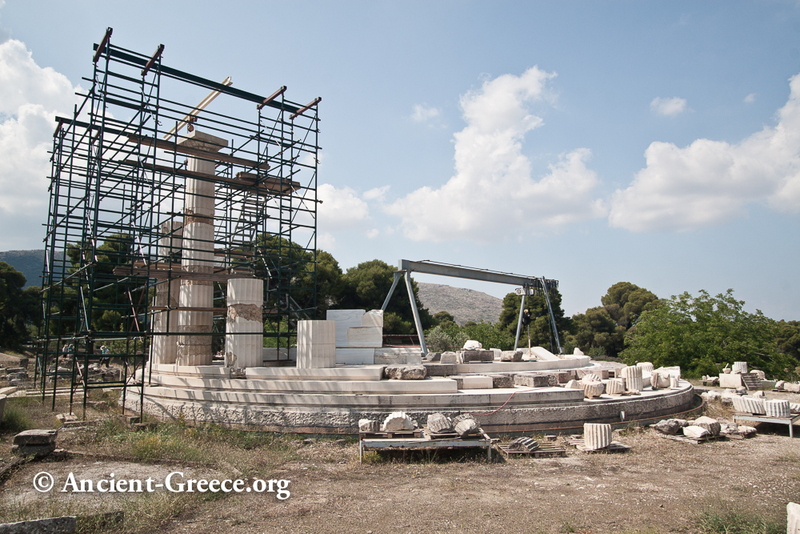 The Asklepieion of Epidaurus (Ασκληπιείον τής Επιδαύρου) as an important healing center, considered the cradle of medicinal arts and the mother sanctuary of the plethora of other Asklepieia that were built throughout the Hellenic world. 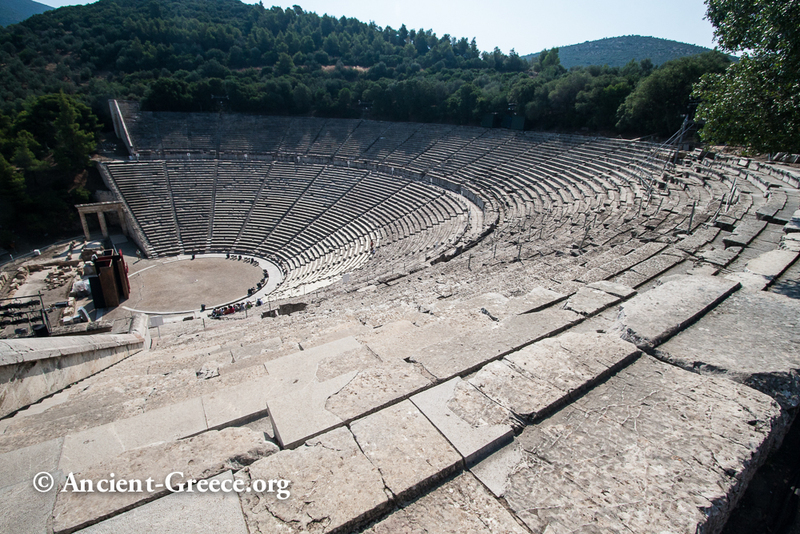 The sanctuary of Epidaurus (Επίδαυρος, also transliterated as Epidaurus) was named after the god of medicine, Asklepios, and pilgrims came from all over the Mediterranean seeking healing for their ailments through physical and spiritual means. The god was present at the sanctuary where the faithful underwent treatments ranging from purification with water to feasting with the divine after offering sacrifice. 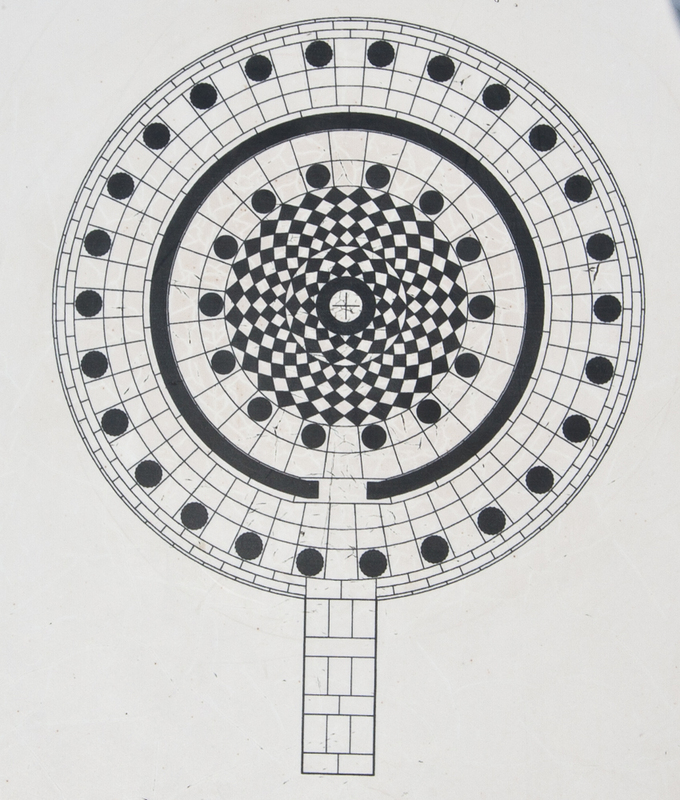 Additional activities such as baths and "enkoimeses" (incubation) were central in the healing process and allowed Asklepios to heal the patients. 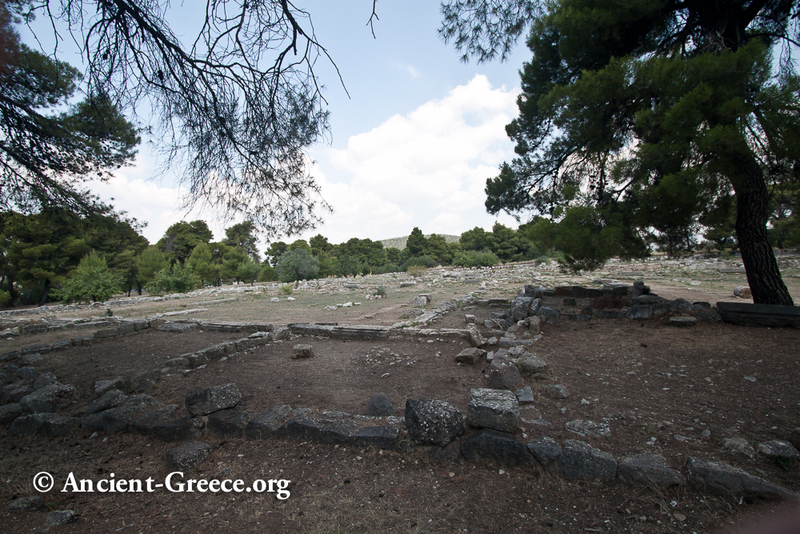 The sanctuary reached its zenith in the 4th and 3d centuries BCE with monumental buildings like the Enkoimeterion (dormitory) the Hestiatorion (the dining hall), the famous Theatre, the hospice, the temple, and the stadium. The Katagogion was the main building where the visitor/patients found accommodation during their stay. It dates to the late 4th - early 3d c BCE. 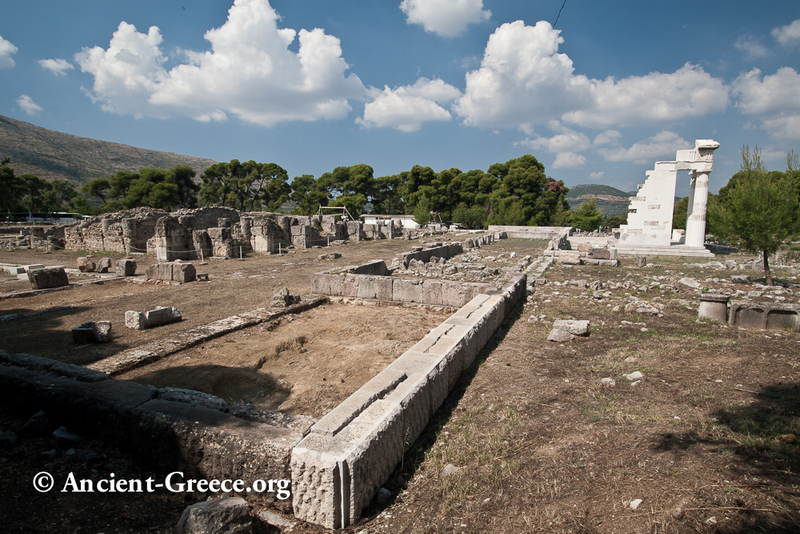 The Hestiatorion complex consists of the Hestiatorion (restaurant) which was built in the late 4th c. or in the early 3d c. BCE, and the Odeum, a later addition by the Romans (2nd-3d c. CE). While the ruin was initially identified as a gymnasium, later research indicates that it was the place of feasting on the ritual meals. 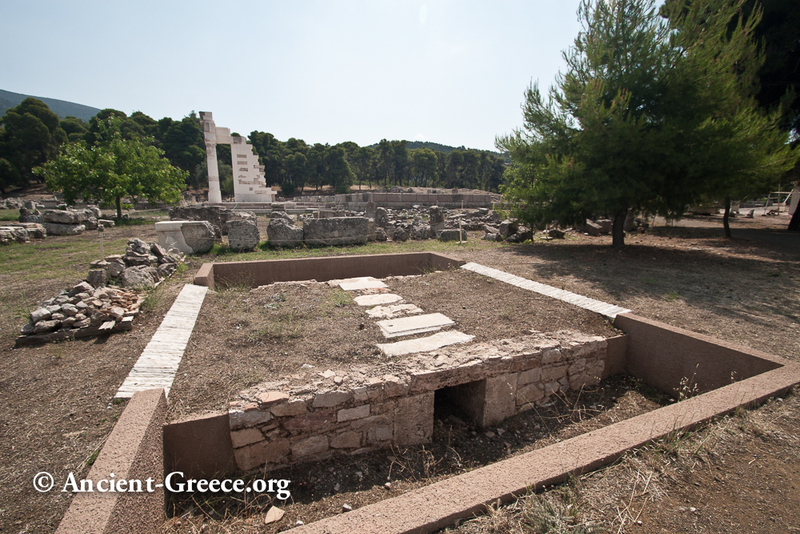 The Hestiatorion was partly destroyed in the 1st c. BCE when it was raided by Cilician pirates. 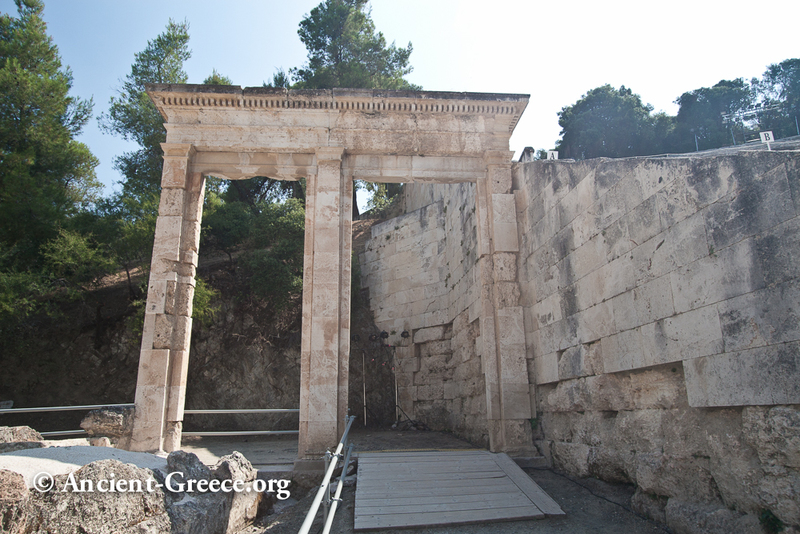 The heavily restored Propylon of the Hestiatorion (the clean, white marble is the restored part). 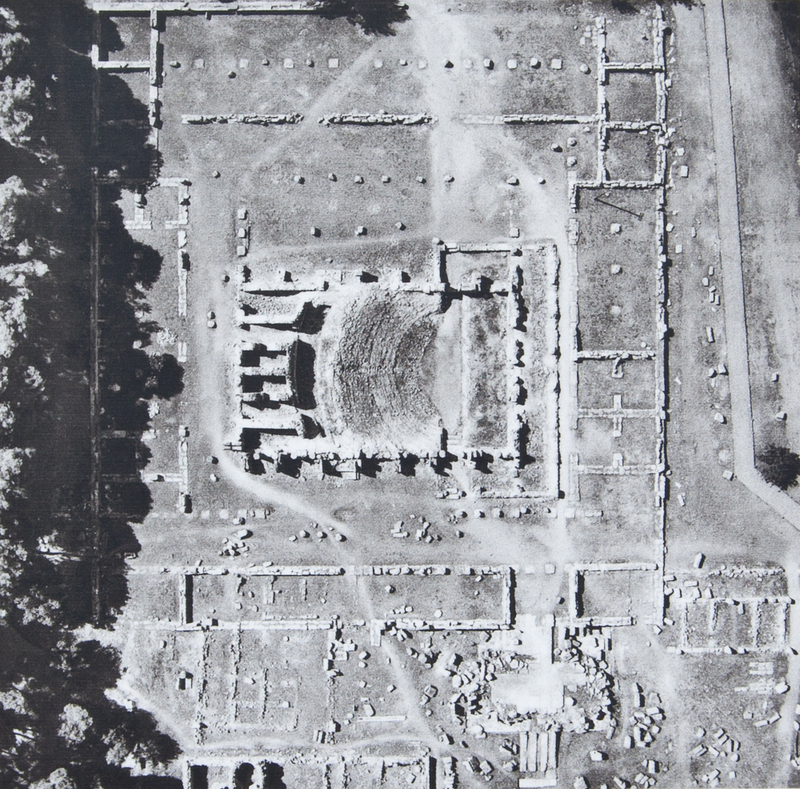 It was a Doric, hexastyle, prostyle edifice with walls on the east and west sides. 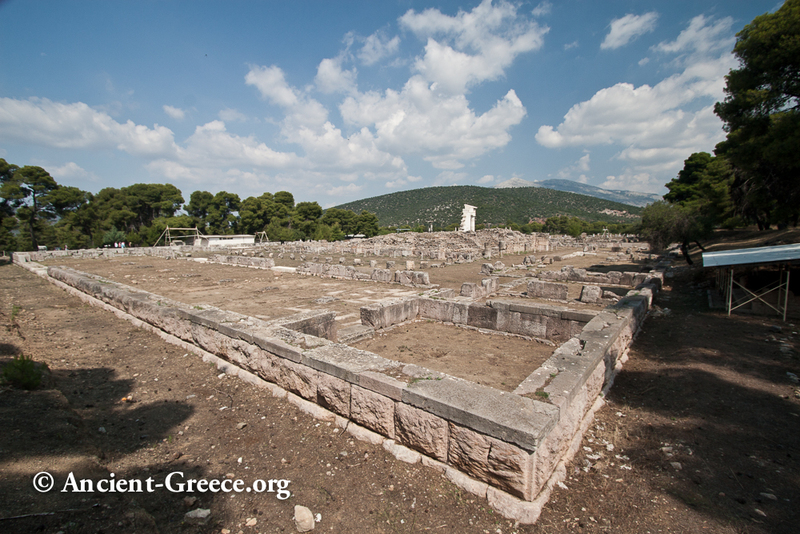 The Abaton - Enkoimeterion was a stoa where the patients were cured through the direct contact with Asklepios who visited them as they slept in the premises. 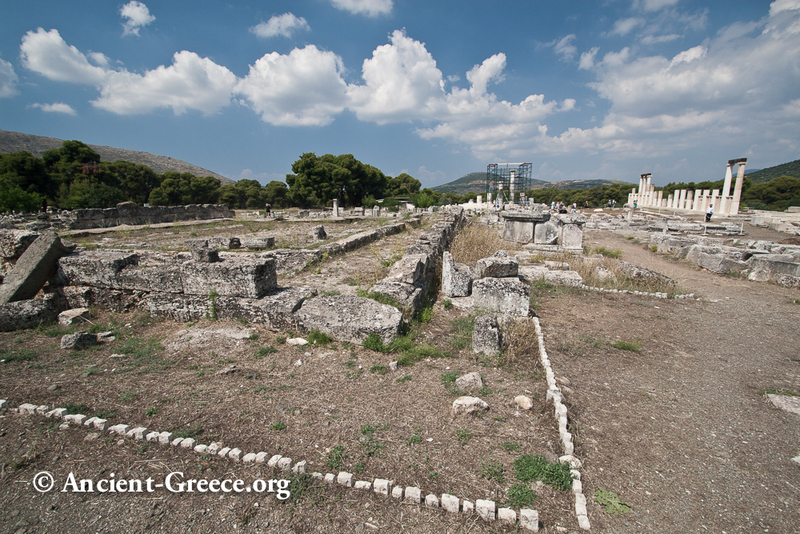 The stoa was an "Abaton" (it was off-limits to all but the sick ones). 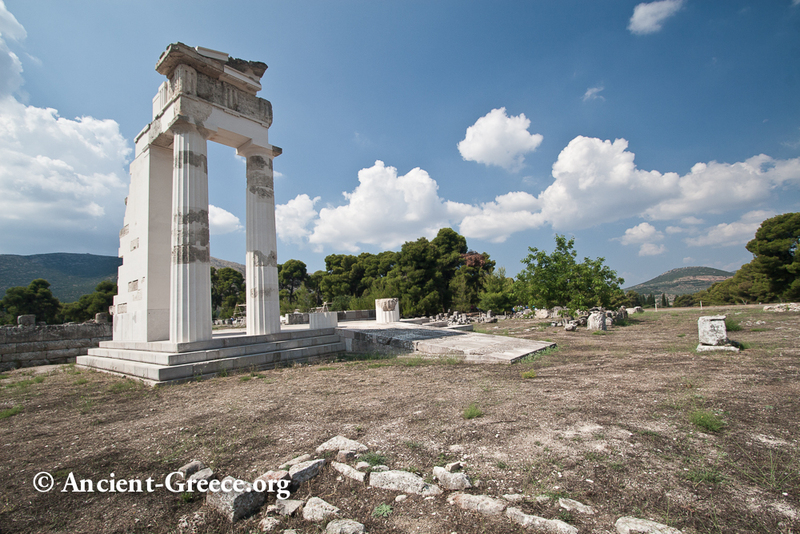 The Tholos / Thymele (altar) was built between 365 and 335 BCE, and it's attributed to the Argeian architect Polykleitos. 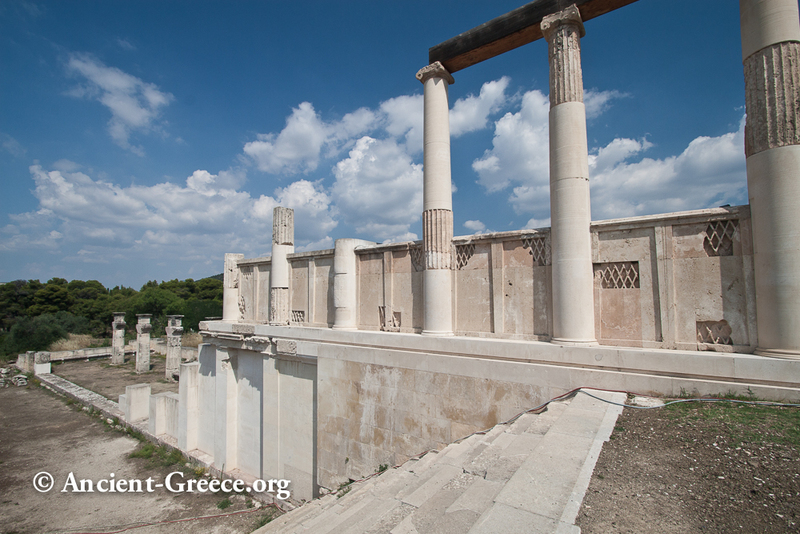 It has an outer colonnade circle of Doric columns and an inner one made in the Corinthian order. 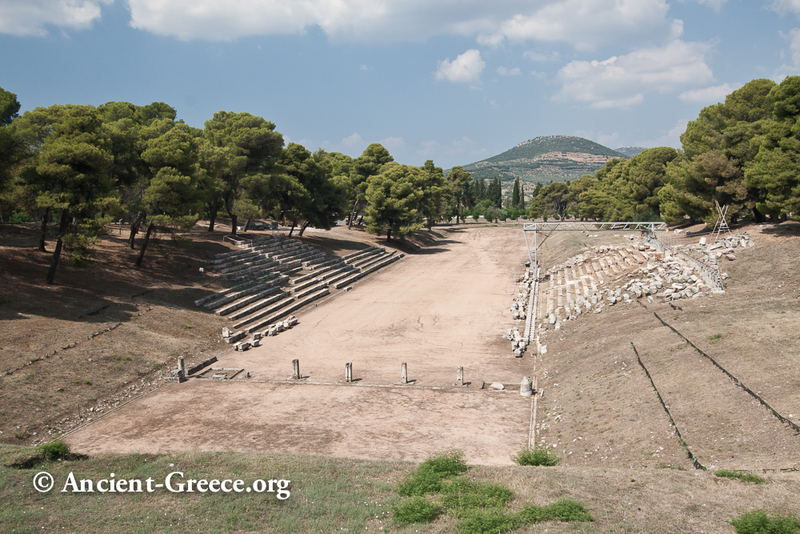 The Stadium hosted athletic games in honor of Asklepios. The track is 181.30m long and 21,50m wide. 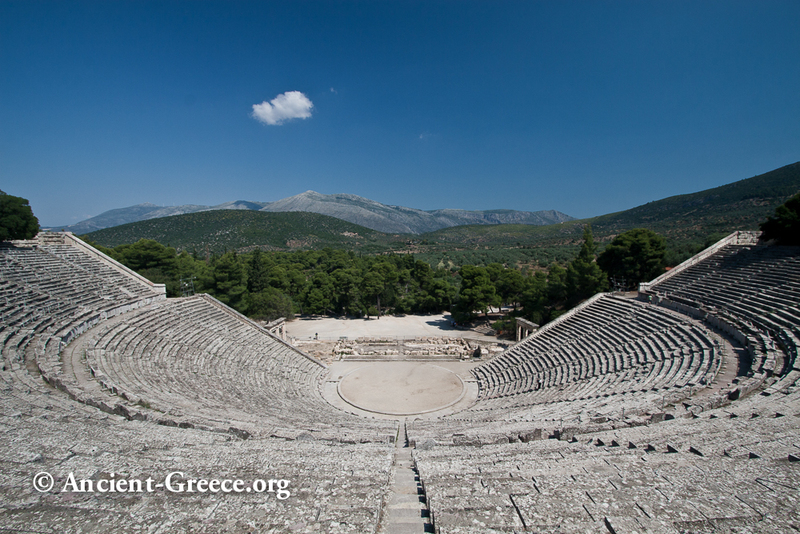 The Theatre of Epidaurus is preserved almost intact to our day, with minor restorations, it still hosts theatrical performances. It was built in the beginning of the 3d c. BCE. The Theatre is famous of its perfect acoustics where even the slightest sound like the dropping of a pin, or a heavy breath can be heard clearly by spectators in the top rows of seats. 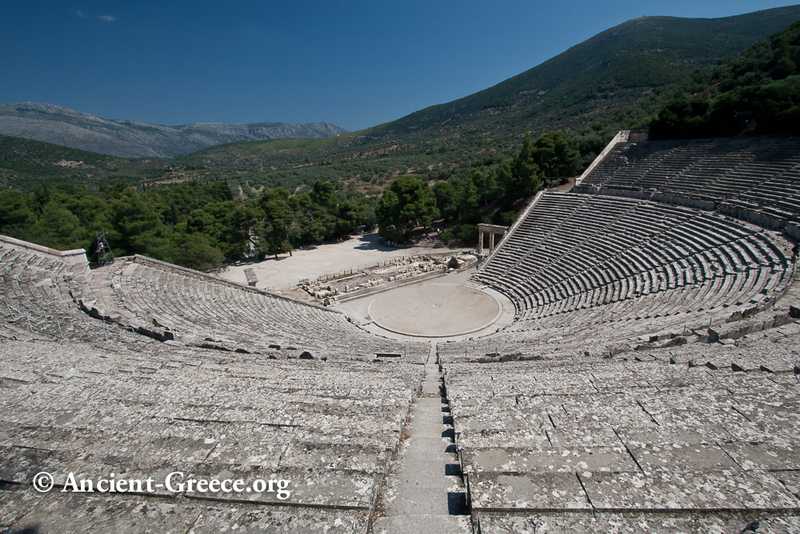 Originally, the Theatre had 34 rows of limestone seats, divided into 12 sections and it could seat about 6000 persons. It was extended in the 2nd c. BCE with the addition of 21 rows, divided into 22 sections, to double the original seating capacity. The orchestra has a diameter of 20.30m and is encircled by a strip of marble. 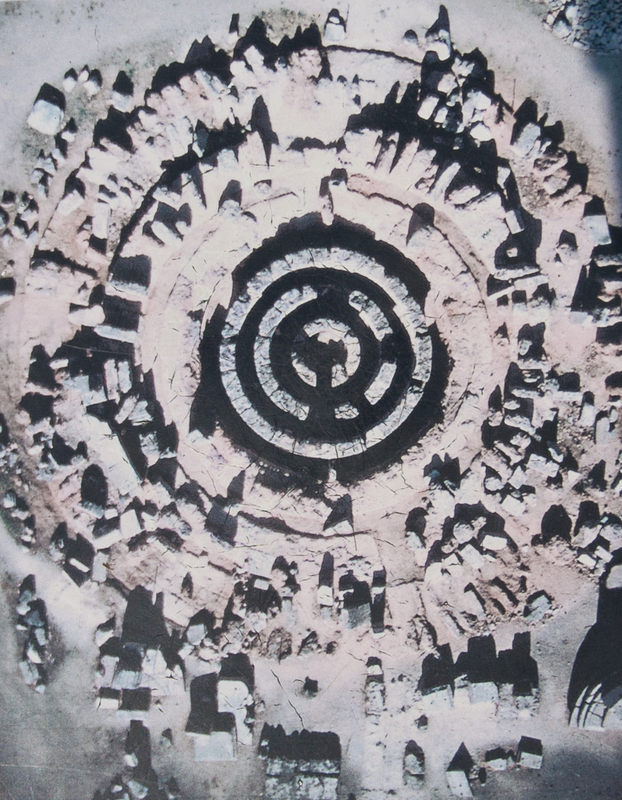 It is made of packed earth with a thymele (altar) in the center. The two Parodoi to the left and the right of the skene (scene) provided access to the orchestra of the theatre. Only the foundations of the scene survive today, while the two Parodoi double stone door frames are modern restorations.